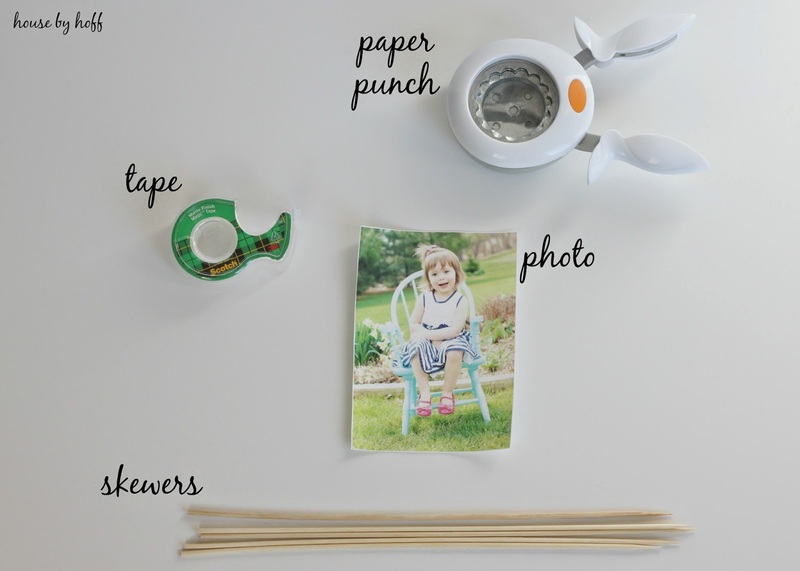 It’s Photography Wednesday, and I have a fun photo idea for you in time for Mother’s Day! 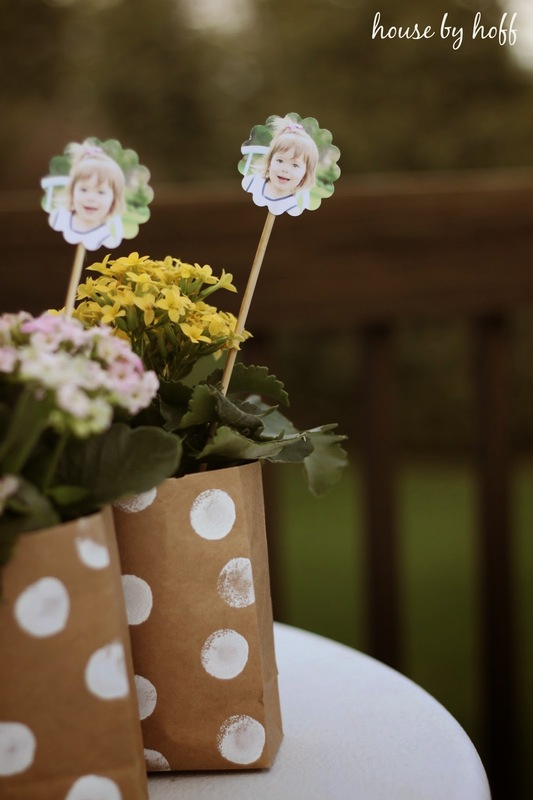 I created these fun paper bag flower gifts and stuck a cute little photo of Miss L. on a skewer to add a little something extra special to the gift. This little photo craft is so basic that it barely warrants a tutorial, but I’ll show you how I did it anyway! 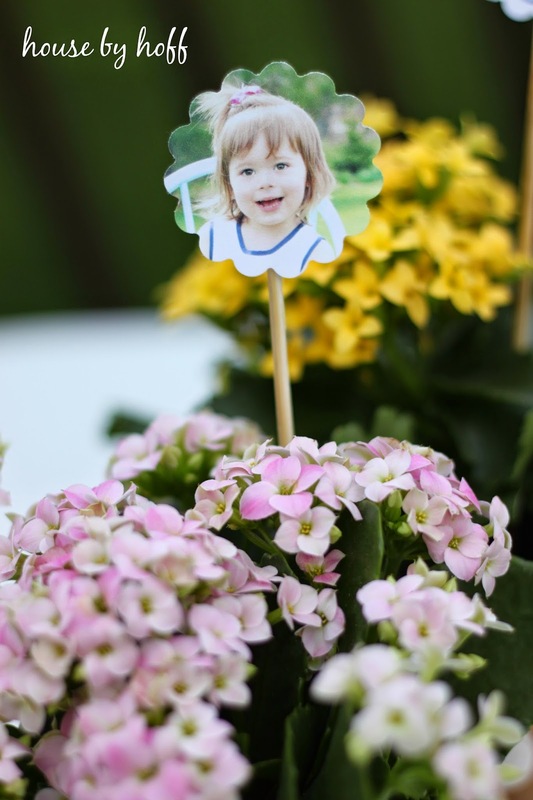 I used my paper punch to punch out these little photos from Miss L’s Easter Photo Shoot. Next, I taped them onto a skewer. I love these little photos on a stick! To see how I made my Paper Bag Flower Gifts, click here. Previous Post: « $350 Mother’s Day Cash Giveaway! 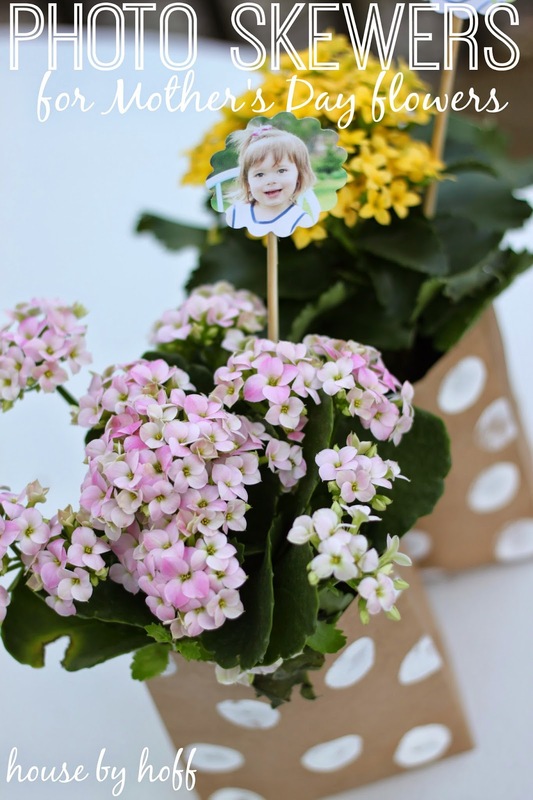 This is such an adorable and thoughtful little addition to a plant gift – great creative idea, April! !